I’m quite a bargain hunter when it comes to new clothes. I love beautiful, expensive things but also love finding them for a good price. It can be done, I’m the living proof, you just have to know what you want and where to look. I’m not a great charity shop shopper. I never seem to find the amazing things that lurk amongst the slightly musty offerings. But I am a good discount website shopper and ebay purchaser. 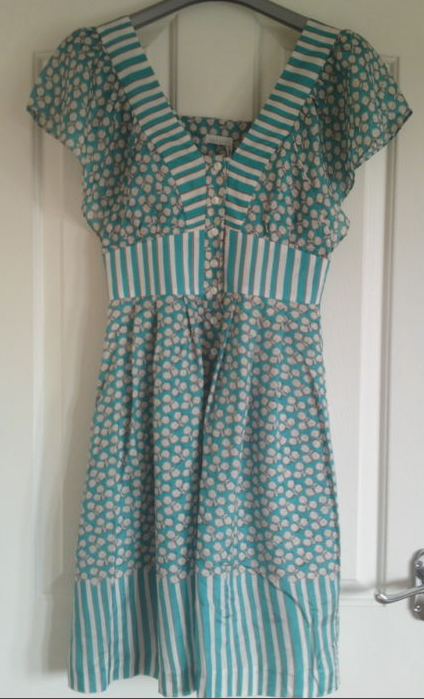 Most of my very favourite things have come from sites like The Outnet and Ebay and I was prompted to write this post by my latest acquisition, a “brand new with tags” Cacharel dress for just £40. There are certain items and labels I long for and Cacharel has always been one of them. I adore it but only own one piece, a charcoal grey pencil skirt which I snapped up at a sample sale many many fashion moons ago, and have always dreamed to own one of their Summer print dresses….and now I do! So that’s made me very happy indeed. And while we’re at it I thought I’d share some of my other bargain purchases….. This was an Ebay win. 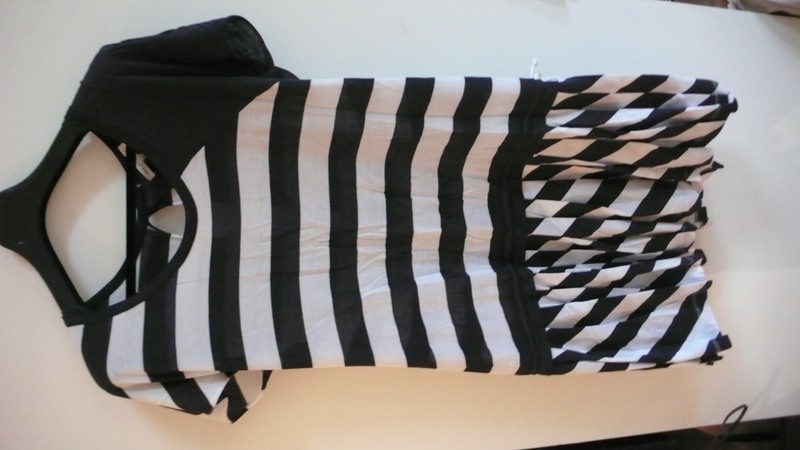 A brand new See By Chloe blue and white striped dress. Bought to wear to a party just a few weeks after I’d had my second baby. I was feeling a bit nautical at the time so this was perfect. And I wear it all the time now. It’s comfy, timeless and flattering to whatever kind of day I’m having. £32.99 including postage – Ebay. Will take a picture and post later…..it’s packed away safely from moths. I find the secret of Ebay shopping is to know what you want and then search for it. Stick to the designers you know suit you. There’s no point going for something you know nothing about or in a style you’ve never worn – it will just end up as a big, disappointing mistake. If you’re familiar with the way the designer cuts and their sizes, you’re less likely to end up with something you’ll never ever wear. Like everyone I pour over the fashion and shopping pages of my favourite magazines, especially the catwalk roundups. And I drool over Net-A-Porter every time “Just In!” emails hit my inbox. But I can’t afford to buy all those lovely things I want so much so I have to get creative. I see what I like and then I search for that piece or something from that particular collection online and sometimes, I get lucky. It’s fun, satisfying, guilt free shopping and I urge you all to give it a go.